Mishimoto Radiator Brackets for the 2008-2014 Subaru WRX and STi. Available in black, blue, red, or silver. Mishimoto Radiator Brackets for the 2015-2016 Subaru WRX and STi. Available in black, blue, red, or silver. Fathouse Fabrications specializes in building the highest quality American Made products in the industry. This is their Subaru Bumper Bar, for those who have larger front mount intercoolers. The AMS Subaru 04’-07’ WRX/STI Front Mount Intercooler is the best performing direct bolt on you can buy. This durable, race analyzed intercooler core is proven efficient to 800 hp and is 160% larger than its stock counterpart. The AMS Subaru 08+ STI/WRX Front Mount Intercooler is the best performing direct bolt on you can buy. This durable, race analyzed intercooler core is proven efficient to 800 hp and is 160% larger than its stock counterpart. Remove the overworked factory intercooler from your STI in favor of the COBB Front Mount Intercooler Kit. Featuring a massive 30" x 10.35" x 3.5" Bar and Plate core and 2.5" piping, this kit is capable of supporting in excess of 800 whp. Looking for a solution to eliminate the inconsistent power delivery from your 2015 STI? The factory top mount intercooler can easily be over worked and over heated due to its size and location, causing intake air temps rise, resulting in a loss in power. 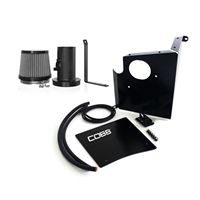 Replacing your factory intercooler with this Cobb Front Mount Intercooler kit, ensures that your engine is receiving the coolest possible air, giving you more horsepower! Utilizing the most efficient and highest flowing cores within industry, the ETS line of Subaru intercoolers is a necessary addition to any STI! Utilizing the most efficient and highest flowing cores within industry, the ETS line of Subaru intercoolers is a necessary addition to any WRX build between 400whp and 1000whp. Fathouse Fabrications specializes in building the highest quality American Made products in the industry. They start with custom mandrel bent piping made with aircraft grade lightweight aluminum. 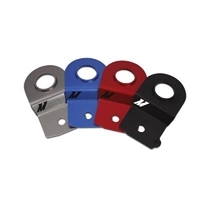 Each intercooler features billet machined inlets and outlets for strength and durability. With the introduction of Forced Performance's BLACK 82HTA™ and the FP RED 76HTA™ bolt on Subaru turbochargers, they have created a custom fitted Subaru intake pipe that matches the 84mm Flow Advancement Port™ Compressor Cover. The IAG CNC Billet Aluminum TGV deletes are one the easiest ways to eliminate the OEM tumbler generator valves on your turbocharged Subaru engine. The IAG CNC Billet Aluminum TGV deletes are one the easiest ways to eliminate the OEM tumbler generator valves on your turbocharged Subaru engine. The IAG CNC Billet Aluminum TGV deletes are one the easiest ways to eliminate the OEM tumbler generator valves on your turbocharged Subaru engine. 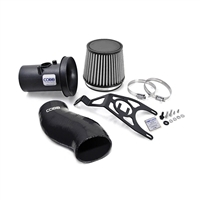 The C.A.R.B certified COBB Tuning SF Intake removes a pre-turbo restriction in the stock intake system. The C.A.R.B certified COBB Tuning SF Intake removes a pre-turbo restriction in the stock intake system. Increased power! 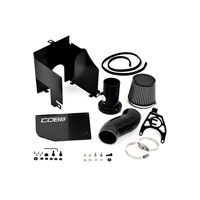 The C.A.R.B certified COBB Tuning SF Intake removes a pre-turbo restriction in the stock intake system. The SF Intake intake system utilizes several unique features in an effort to maintain optimal flow for performance while minimizing turbulence that can cause engine management problems. This C.A.R.B. approved intake and integrated airbox looks great and has the combined benefits of a short ram intake and a cold air intake without any of the negatives. 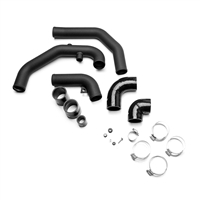 The ETS Cold Air Intake is designed with PURE performance in mind. This intake will get your Subaru the coldest, most dense air possible. 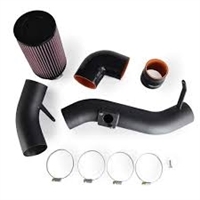 The ETS Cold Air Intake is designed with PURE performance in mind. This intake will get your Subaru the coldest, most dense air possible. The ETS Cold Air Intake locates the filter in the fender well out of the engine bay. This makes for not only the coldest air possible but the most air possible. 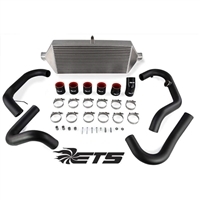 ETS is proud to release the 2015 WRX Intake System. 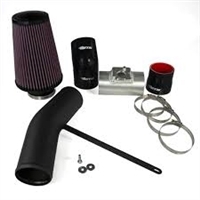 This intake system utilizes a stock size MAF housing that doesn't require any retuning. You can bolt this on and notice immediate performance gains! The ETS Cold Air Intake locates the filter in the fender well out of the engine bay. This makes for not only the coldest air possible but the most air possible. Killer B Motorsport does things a little differently. If you’ve come across our products, you know they come with an obsessively engineered design with the intentions of bringing the best performance your hard earned money can buy. This product is designed to adapt an STI style turbocharger to the COBB Front Mount Intercooler Kit for a 2008-2014 WRX. 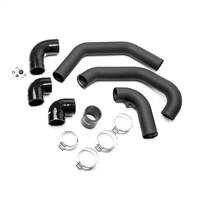 This pipe will connect the turbocharger compressor outlet to the passenger side lower pipe of the COBB Front Mount Intercooler Kit. 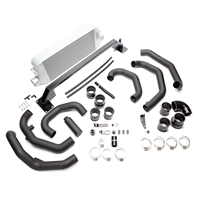 ETS 2015-2016 STI Rotated Intercooler Pipe Conversion Kit. 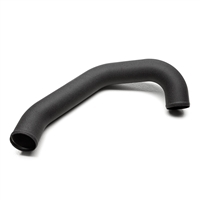 The Killer B Motorsport Performance Charge Pipe is designed to provide maximum flow from turbocharger to aftercooler. This is done using state of the art CNC mandrel formed bends. Just bought an aftermarket or STI TMIC that requires an STI y-pipe to fit? Want to replace your chewed up and leaking couplers? Maybe you're just looking to freshen up your engine bay with a touch of GrimmSpeed style. Well, there's something for everybody with the GrimmSpeed Y-Pipe Kit. Special Fitment Note: Supported fitments include only those vehicles running OEM STI and GrimmSpeed top mount intercoolers.